Sandy toots her own horn! Nancy LeSac toots her horn! 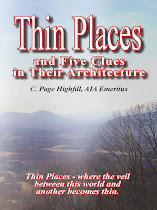 Come off Interstate 295 at the Montpelier Exit, Route 33, pass Tyson's Chicken, turn right on Rt. 660, Winn's Church Road, go approx. 2 miles, church on left. Bring a bag lunch if you want to have fellowship after the workshop. Beverages furnished. I've written only one grant proposal, but I won the grant and received excellent feedback on my application, so I'll share a few tips based on the grant committee's comments and my experience. 3. Set clear, obtainable goals, and provide ways you plan to measure goal achievements. In my case I had to write a report after I attended the conference so this last part was especially important. 4. Account for every possible expense and income in your budgeting section. 5. Do your homework to obtain realistic prices before submitting your proposed budget. Because I did, (and also because of God) my actual expenses were miraculously $1 off what I projected. While yours may not be quite as close, the point is that you don't want your actual budget to be hundreds of dollars off which may require you to resubmit a new budget or lose funding. 6. Ask questions of the grant program's coordinators if you don't understand certain application rules, instructions, or sections. 7. Follow the rules. This one is a biggie. Just like with submitting manuscripts to publishers, it is important to follow grant application guidelines because if you don't, they will be forced to disqualify your application and all your hard work will be wasted. 8. Expect to put in hours--yes, hours--preparing and your application. It's a lot of work, but well worth it. 9. Categorize in your mind grant opportunities correctly--as contests. Usually many people apply and funding can go to only so many. Present your best application, realize that like manuscript submissions your excellent application may not garner you the grant for a myriad of reasons, and send it off with prayer. This is the reference link that Gina sent to teach me how to use the electronic editing feature she used as a reader for my manuscript. Some of the RCWW members were asking about this on Sunday. The purpose of this tool is to allow one or more readers to make comments or ask questions regarding content, style, etc. The author can choose to accept or reject the suggestions, then delete the comment box, so the manuscript stays "clean." It has been extremely beneficial to me in receiving feedback: easy for the critic and easy for the writer. Thanks again for Sunday's session. Such a great group! Check it out regularly for updated information, links, contests, poems, articles and other writer-helpful information. Please send all submissions to RichmondCWW@aol.com to be passed on to Michael. This is exciting, and we will want to thank Michael for accepting the position of Blog Administrator. Until Blogging becomes a habit, you'll continue to get our monthly meeting notices in your inbox and on the Blog. Last month we tried our hand at creative nonfiction. This month we're going to learn more about this interesting and challenging writing technique. Scott Tilley and his wife now reside in Goochland and are adjusting to the retired and country life. Scott is busy volunteer teaching Creative NonFiction classes in the Goochland community and at the James River Correctional Institute, in State Farm, Va. He has published numerous articles in newspapers, magazines, and other publications. He's most proud of his published Lenten Devotionals in a Methodist publication. He is working on a novel, still. His wife is active in outreach. Together they thank God for the numerous blessings in their lives. April 23 (4th Sunday to avoid Easter): Tom Lacy will be speaking on "How to Sell Articles to Magazines". Look for my letter coming soon about local writing conferences. 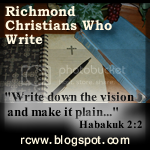 American Christian Writers (ACW), of which we are a chapter, has come to Richmond for the last seven years because of RCWW. The first four years were successful in that ACW showed a profit which, obviously, is necessary to stay in business. Year before last the numbers were down, but because of our prompting they came back last year. Last year they broke even. This year the nubers were way down. Next year they will not come back to Richmond. Pray for me as I consider if RCWW can fill the need for an annual Richmond conference if indeed one is needed. More later. Check out our Blog! See you on March 19th! Bring a friend! Joan Tupponce, award-winning author, is speaker for the National League of American Pen Women's Richmond Branch March Meeting. Richmond, VA ¦ February 24, 2006 ¦ Join Richmond NLAPW on March 17th to hear Joan Tupponce share strategies on how to "Sustain a Freelance Writing Career." Joan Tupponce, a national award-winning writer, has freelanced since 1988. Having received numerous awards for her writing, she has been published in various newspapers and magazines, including Seventeen, Teen Beat, and the New York Daily News. In the Metropolitan area, she is well-know for her Times Dispatch career column and feature writing for Virginia Living, Richmond the City Magazine and the Greater Richmond Area's Work magazine. The Richmond Branch of the NLAPW was initiated as an organization designed to foster the creative force of women in the humanities arts (professional artists, composers, lecturers and writers.) 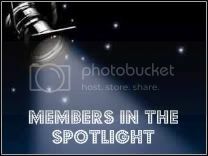 Presently, the group provides monthly luncheon meetings on the 3rd Friday of the months September - April, art events, a critique writer's group, writer's contests, a writer's conference, book clubs and scholarship awards. The March meeting begins at 11:30 a.m. and is held at the Westwood Club. The Richmond Branch kicked off its 2005-6 year on September 16th. Those interested in attending events must RSVP with Mary Jane Tolley at 804-272-1976 or obtaining NLAPW membership information contact Sylvia Wright at (804) 672-6007 or syhwright@msn.com. All events are open to the public. Chesterfield County Writer's Workshop - March 18th. RICHMOND - Calling all authors and book lovers! Average Girl, The Magazine will host the Author & Book Fair Symposium on Saturday, May 13, 2006 from 9 a.m. to 2 p.m. at the Wyndham Hotel, 4700 S. Laburnum Ave in Richmond, VA. The Author & Book Fair Symposium will expose book lovers to up-and-coming and well-established authors from the Richmond area, the South and Northeast. The event will also feature Essence magazine bestseller authors. "This is a wonderful opportunity for aspiring writers and established writers to hone their skills and network with their readers and other authors," says Rebekah L. Pierce, founder of AVG magazine. "We want to support our local and regional authors as well as inspire 'closet' writers to come out and take that leap of faith." This event will also feature some of Richmond's hottest poets in the Poetry Slam Jamboree to be hosted later that evening at a location to be announced. The Author & Book Fair Symposium is free and open to the public. For more information, call (804) 288-0477 or email editor@averagegirlmagazinecom. AVG is a motivational magazine dedicated to empowering the goal-oriented, independent woman to do Extraordinary things. Refreshing and informative articles focus on finance, career, health and fitness. AVG is headquartered in Richmond, Va., distributed nationwide and in Canada. For more information, log onto www.averagegirlmagazine.com. And breathe air from a clean breeze. The beauty and majesty of a scene so pretty? And never forget the one we serve. So we might not sin against you God. The water here refreshes and cools. For this place is no façade. Praying He will make us wise. For those who know Jesus. Capital City University is a law school located in Columbus, Ohio. The Capital City University Law Review is publishing my article about legal standing in Fourth Amendment (the search and seizure amendment) cases. This is my sixth such article in a scholarly law journal. TOOT! (That's me tooting my horn.) I've finished my Christmas book! The working title is The Heart of Christmas. Currently, there are two people in my church reading it/critiquing it for me. One is my singles minister, the other, a woman with a couple of published books herself. After they have gotten back to me, and I make any revisions that I think are necessary, I will be sending it on to either a publisher or agent. Therein lies the prayer request. I need to make the right decision, both on which to query (I'm leaning toward the agent right now), and then, who to send it to. I would appreciate your prayers. It is pretty exciting. The other neat thing is, God has inspired me to begin my first novel. I'm having fun with it, which is great. Well, I pray God blesses you richly this week, and that I get to see you and the rest of the group this month. For the next few issues, SPIRIT-LED WRITER needs writing-related articles and fillers (including book reviews, conference reports and devotionals). We also seek how-to articles for our Business and Children columns. Check out the guidelines and query today. Yes, we're a paying market, and we accept reprints.